Here applicants get the Information about the MDL Recruitment 2019 Notification @ mazagondock.in which is Afforded by the Mazagon Dock Shipbuilders Limited (MDL), Indian Nationals for the selection of Trade Apprentices Board for the Posts published are the 80 Apprentices vacancy. The Online MDL Application Forms has Sterling. The Deadline is the 03rd August 2018. Apprentices Posts will give the Every candidate to gain the More sort of Knowledge which will be Helpful for their Future. For that, they have to know about this MDL Recruitment Process Immediately. With the help of this Recruitment, every candidate will have to apply for this MDL Trade Apparentiucs Pots on or Before the Ending date that we have mentioned On this Page. 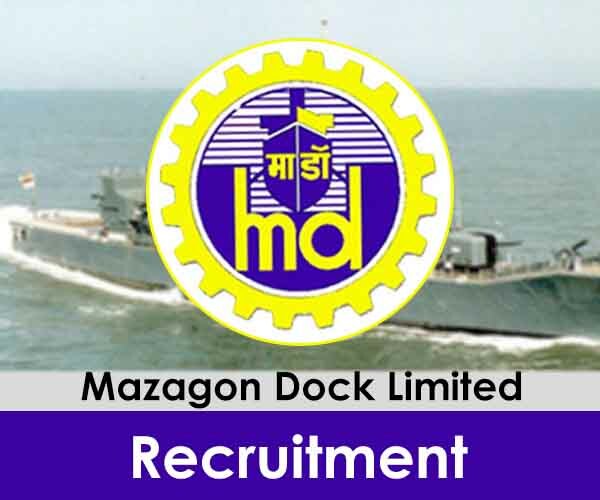 Interested and willing Contenders who are looking for the Apprentices Posts they can Refer the MDL Recruitment 2019 Notification to fulfill their Dreams by getting Joining in the Mazagon Dock Shipbuilders Limited (MDL), Indian Nationals for the selection of Trade Apprentices Board. For this, they have to needed the Minimum Educational Qualification that is they have to be Qualified from their SSC or Matriculation(10+2) from the Recognized Board or university. Without this Education, the Candies will not able to apply for these MDL Job Vacancies. To get, the Latest Employment News, Stay connected to our Site. If anyone takes the Training from this MDL Apprentice Vacancy in the Previous Year, they don’t have the capability to apply for this latest MDL Trade Apprentices Post. Because this Traning period is for Contrat basis. And if once any candidates have taken the Training, they will not able to elect to take the Training Once Again in the MDL Board. The MDCL Apprentice Recruitment selected candidates gives the Training on based on the Particulates like the Electrician, Fitter, Pipe Fitter, Structural Fitter, I.C.T.S.M., Electronic Mechanic, Carpenter, Structural – Fitter (Ex. ITI Fitter), Rigger and Welder (Gas & Electric). From anyone from this, they can take the Trainer and after the Train, Easily, the candies are capable to get the Job based on their Training capability. The candidate should have Passed SSC in FIRST ATTEMPT with General Science & Mathematics Securing minimum 50% marks in aggregate for General / OBC / AFC / DIVYANG Pass Class for SC/ST in First Attempt Only ii ) In case of passing criteria is best of 5 subjects taken ,General Science & Mathematics Should be the Part of the Qualifying Board Curriculum & Candidate should have passed in First Attempt , Otherwise Application will be rejected. iii) Pass Class for SC/ST in First Attempt Only. Who age Going to apply for this MDL Recruitment, they have to pass their SSC or Matriculation(10+2) from the Recognized Board or university. If anyone already participated in this Appertatbics training, they are not capable to apply for this MDL Recruitment. Based on the Interview Or Merit List, the candidates will be Selected. For More Information, prefer the Offical Notification. Through the Merit List Basis or through the Interview, the candidates will be called for the Training for the 80 MDL Trade Apprentices Posts. On the Trainee period, the Candies Will be Given the remuneration up to the Rs. 7165/- to Rs. 9212/- Based on the category selected by the applied Candidates. So all the applicants use this opportunity to get the job in theMazagon Dock. All the Eligibility criteria like the Educational Qualification, Age limit, selection Process, MDL Apprentice Vacancy details and the application fee all we have mentioned on this Page or @ recruitmentindia.in Site. If they are looking for any more information, they can refer to the Official notification Provided Links @ mazagondock.in. The Online Mazagon Dock Apprentice Application Forms have given at the end of this Page. Eligibility candidates will able to apply for this Post by giving all the Essential Details in the application and also upload all the Relevant Documents that have been asked in the application. Without the Correct details furnishing in the Mazagon Dock Application Forms, the Authorities will not shortlist their Names to take the Training Period. After choosing all the Details, they will select the candidates. There is No application fee is Given by the Contenders who are going to apply for this MDL Recruitment 2019 Notification. Use this Opportunity and Make the career better to step on to the Right Process in order to full fill t5he candi8esb Dreams after getting Trained in the Mazagon Dock Recruitment Board.